The location is good, surrounded by pretty much everything. The breakfasts were very good, the location is also good. The oceanfront view from the room was beautiful. The rooms are a little outdated but it is a Great location for the value of the money. The beach is just a few steps away. 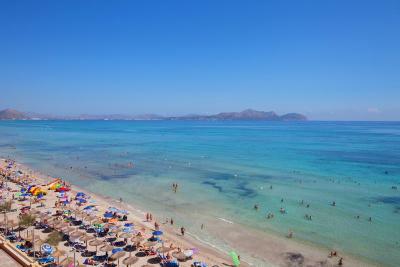 the location, the beach, the whole area can picafort, would be back every year if I could! The hotel is super well located, it is clean and the food is good. We really enjoyed our stay! Room was clean, housekeeping every day. The food in the restaurant was also excellent. Every day was on different thematic: Fish, Italian, South America and etc. The staff in the hotel and restaurant was polite, positive and very helpful. 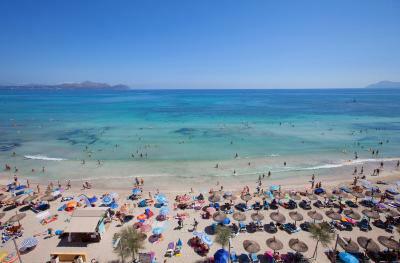 The location of the hotel is on the firts line, few steps from the beach! Thank you Horitzo team!! It is perfectly located, right on the beachfront. Had breakfast on the terrace with a lovely view of the ocean and went for a swim straight afterwards. The breakfast spread was good, although I would have liked a larger variety of fresh fruit. The staff was really friendly. 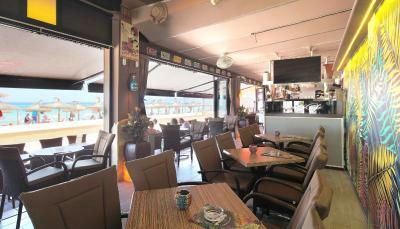 The staff was very nice and it was just in front of the seaside, surrounded with all kinds of restaurants and bars. 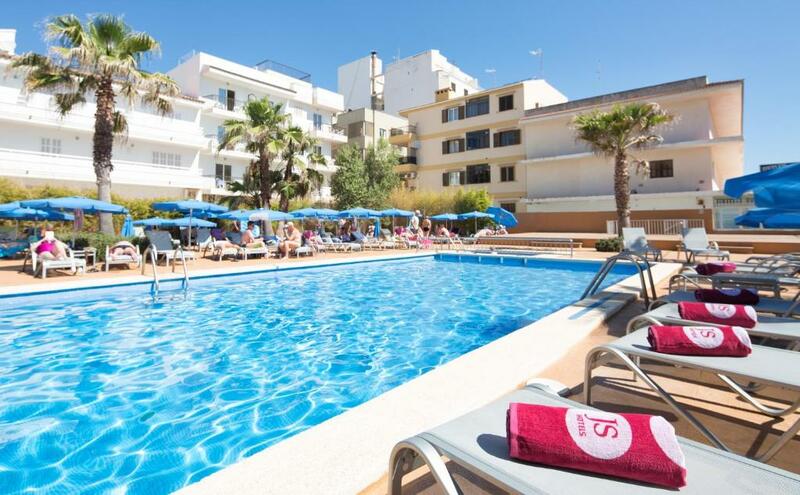 JS Horitzó This rating is a reflection of how the property compares to the industry standard when it comes to price, facilities and services available. It's based on a self-evaluation by the property. Use this rating to help choose your stay! 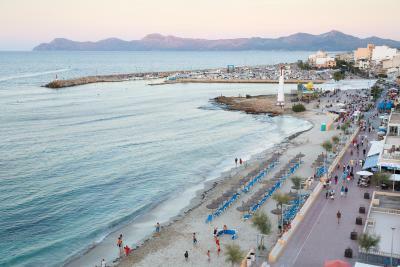 One of our top picks in Can Picafort.JS Horitzó has an ideal beachfront location next to Ca’n Picafort Beach, in Majorca’s Alcúdia Bay. 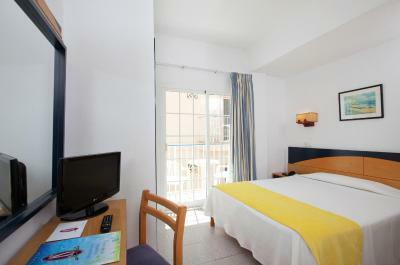 It has free WiFi and an outdoor swimming pool with a sun terrace. 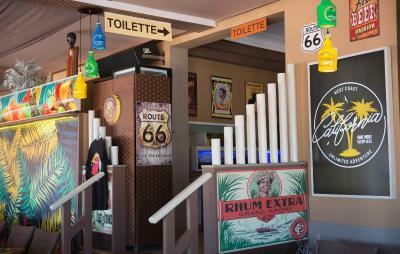 The hotel is a short walk from the resort’s shops, restaurants and bars. The beautiful Albufera Natural Park is 3.1 mi from JS Horitzó. Alcúdia Town is 6.2 mi away. 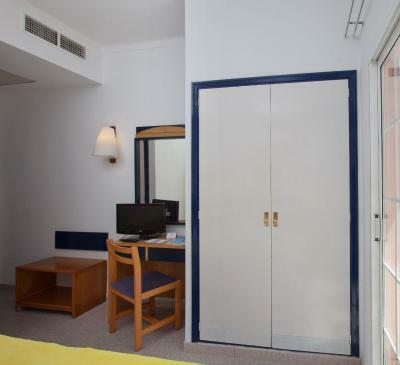 Rooms at the Horitzó are simple and comfortable. They all have a private balcony, a safety deposit box and bathroom with a hairdryer. 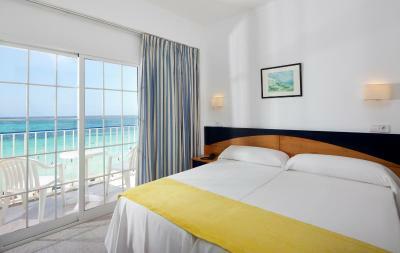 Most rooms have views of the Mediterranean Sea. 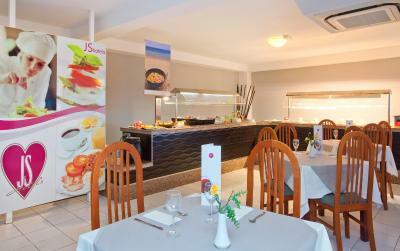 The hotel’s restaurant serves international and Spanish cuisine. There is also a café-bar on site. Guests can rent bicycles or cars onsite, and there is also a tour desk. When would you like to stay at JS Horitzó? 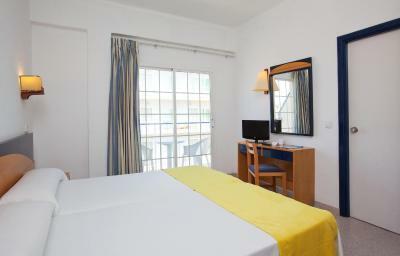 This comfortable, air-conditioned room comes with a balcony. 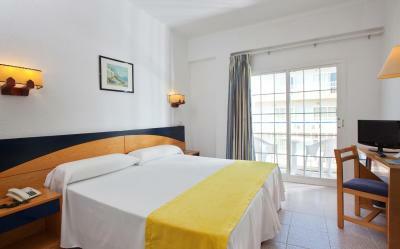 It features satellite TV, a safe, telephone and private bathroom with hairdryer. 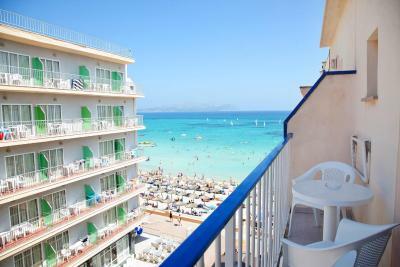 The JS Horitzó offers budget accommodation for great Majorcan holidays. 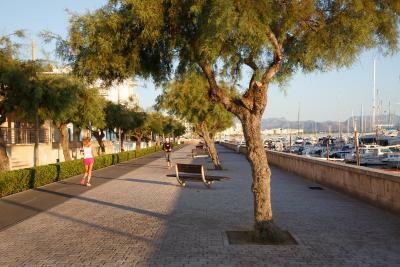 Maybe you're looking for sun & sea or more active holidays, the North of Majorca offers all of this and more!. 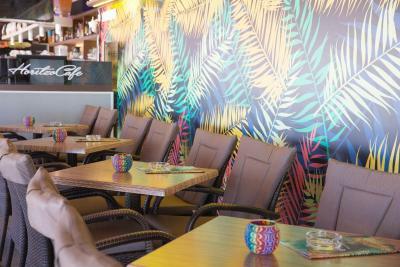 Do not miss the Cafetería Horitzó, located right on Can Picafort's promenade... the cocktails and long drinks are legendary in this area!. House Rules JS Horitzó takes special requests – add in the next step! JS Horitzó accepts these cards and reserves the right to temporarily hold an amount prior to arrival. Please note that dogs up to 7 kg are allowed on request, with no extra charges. Please note that we do not accept other pets. Please note, the property does not have a 24-hours reception onsite. 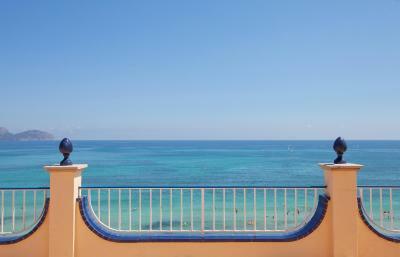 Guests can use the 24-hour reception at Hotel JS Can Picafort, located 100 feet away. Please inform JS Horitzó of your expected arrival time in advance. You can use the Special Requests box when booking, or contact the property directly using the contact details in your confirmation. The choice of breakfast was low. The hotel is too old and its equipment as well. The hotel seemed expensive to me as it is old The beaches could be cleaner. The Wi-Fi was a bad joke. Extremely unreliable, almost non-existent. I've tried connecting to it using 3 different devices and Operation Systems, on different days and times and from multiple spots across the hotel, on both buildings. When I was able to catch some signal, it was usually very weak and it made me feel like I was back in the 90's, super slow. I spoke to the reception and was told there was nothing they could do about it. I ended up having to use all of my personal data plan to do even the most simple and basic tasks online. I can't recall having such poor network service in the past 15 years. The room we had this time need some renovation and new furniture. It was impossible to close the bathroom door and the beds are single and has a gap between them. But the prize is low and that is probably the reason for lack of renovation. 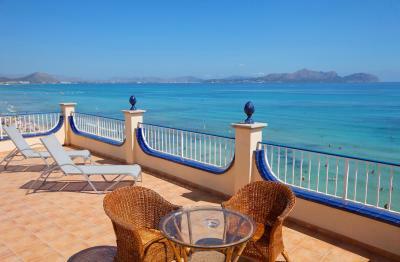 The location is very good, just a few steps and you are on the beach! Lots of restaurants and shops just outside the door. Very good breakfast with warm and cold dishes, fresh fruits and cakes- we really love all of it. Amazing view from out room! 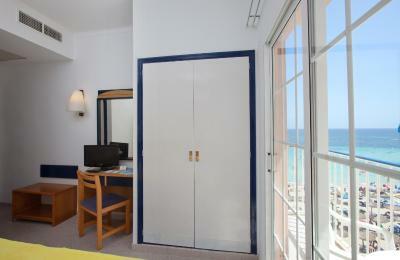 The personal is very nice - we asked for the same room as last time, it was not possible, but we got a similar one. Aircon didn’t work in our room, we were only there for one night and the reception said nothing she can do and we basically have to sleep in a hot room that we paid good money for. It wasn’t until we started fighting that she moved us. Terrible service and wasn’t worth all the hassle, will never stay again. Unfortunately the mattress and pillow were not very comfortable and the room and toilet looked quiet old. 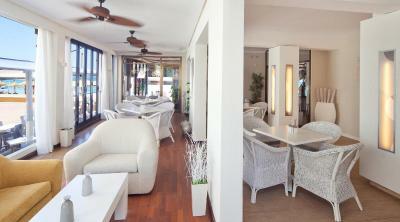 The staff was great, the breakfast was really good and the location is amazing, right in front of the beach. They could say more clearly that the pool is not in the hotel and you share it with other hotels. And the staff from the reception could be more receptive. The balcony of our room is towards the street. i like the watermelon during supper. It was a little small, but reasonably clean! JS Horitzo is a bit tired! 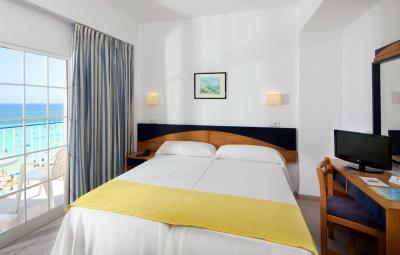 When we arrived it wasn't like on the pictures, the room was horrible but we got the chance to switch rooms. The other room were better but still not like the pictures. We didn't eat at the hotel more than the first day, we were not pleased with the food at all.